Announce an ‘extra special’ range of wines and then charge a mere £5-6 per bottle. That has Walmart strategy stamped all over it. Trouble is, Asda has never been at the top of my wine shopping venues. In fact it’s been near the bottom. 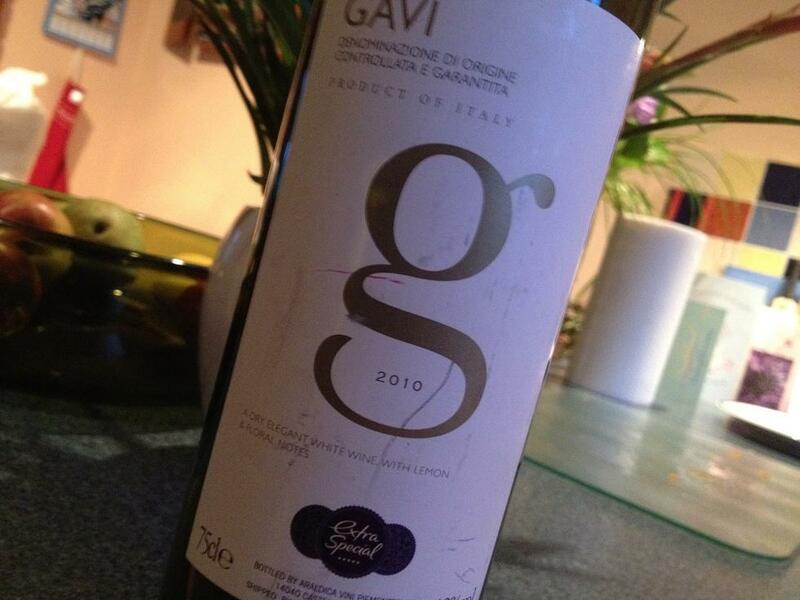 Add the fact that Gavi rarely floats my boat and this is a recipe for disaster. But somehow Asda has found a supplier (Araldica) that can produce a lively, fruity and zesty Gavi that is simply gorgeous for the price (£5.98) and at a very refreshing 12% ABV. Pour into a Chardonnay glass, but chill the wine a little cooler, say 8 degrees. Then serve with fresh char-grilled English asparagus. What joy. Highly recommended. This entry was posted on Thursday, June 21st, 2012 at 7:37 pm	and is filed under Italy. You can follow any responses to this entry through the RSS 2.0 feed. You can leave a response, or trackback from your own site. Char grilled Asparagus ! Don’t talk to me about Sophistication – I’ve been to Leeds! It’s a great Day Trip outfit that will help you customize your visit to Champagne and the houses, like Moet and Taittinger, for tastings. They met us in Paris and took us out to the region but they can meet up with you in Champagne too. Excellent, enjoy the trip – I was enjoying a lovely red Beaumes-de-Venise only last weekend.